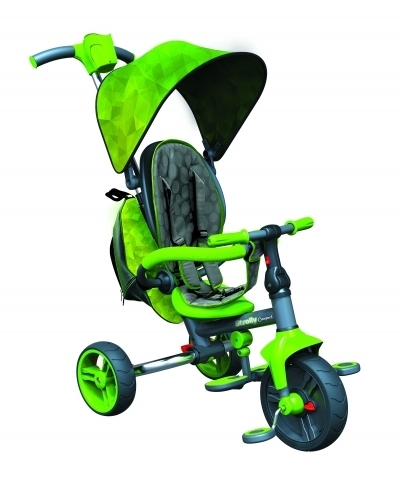 This parent controlled stroller converts to a trike when children are able to take control for themselves. In stroller mode, the 3-point harness and safety bar ensure a comfortable ride for baby. Folds down for easy storage. Very good idea folds to fit to car trunk and 3 stages to use as grow. I think this is great stroller that later converts to a tricycle!! !